Parties for weddings usually consist of cocktails, dinner then a band and dancing. The problem is everyone does the same old traditions. If you're looking for something different, something they will get excited about, something different, something they will remember – an edge of your seat, exciting, entertaining magic show. He has been called “one of Canada’s Elite Magicians” (A-TV) and he is coming your way with a show of amazing ‘Vegas Style’ magic and unforgettable illusion – specifically for adults. 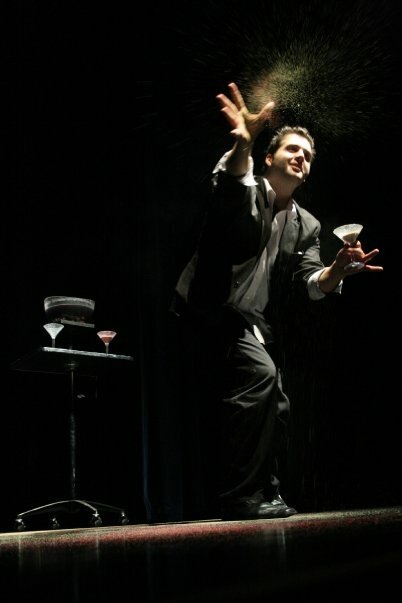 Michael will captivate the audience with his original and exciting illusions. Michael takes you on an incredible journey, showing you some amazing magic with extreme skill; no smoke, no mirrors, no big boxed illusions. The show is a funny, upbeat, thrilling magic performance which includes lots of interaction and participation with the entire audience; incredible magic is combined with lots of laughs creating memories that your group is sure to remember! - This show requires a small-to-medium sized performing area with access to electrical outlets for CD players and microphones. - The suggested distance of the audience should be - seated or standing 10 feet away (not mandatory however). - Small amounts of fire are used but are under complete control. Not hazardous to anyone or fire alarms. - All routines are highly visual and have a comedic, exciting and interactive theme. - Can be set-up in 15-30 minutes and can follow other performers without interfering in their act or infringing on their space. If you are looking for something Grand Scale, this is for you. Dazzling illusions are mixed with exciting routines to create a show that is perfect for corporate event planning, sales meetings, new product launches, galas and parties. You’ll witness amazing illusions where people appear – disappear, fly through the air, are cut in half, penetrate through one another, have there head cut up, twisted and removed and more great routines. All illusions are choreographed to upbeat music, hilarious moments and special effects. Furthermore Michael makes an amazing prediction about your company down to the tiniest details that only individuals working within it would know, simply mind-boggling to witness. Not limited to just theatres, this show can be setup anywhere from a performance center, to an empty hall as its completely self contained and we own every piece of equipment imaginable. Lights, sound systems, and unique sets are all part of the ambience when we create a theatrical production. - This show requires a medium-to-large sized performing area with access to electrical outlets for sound, lighting and special effects. 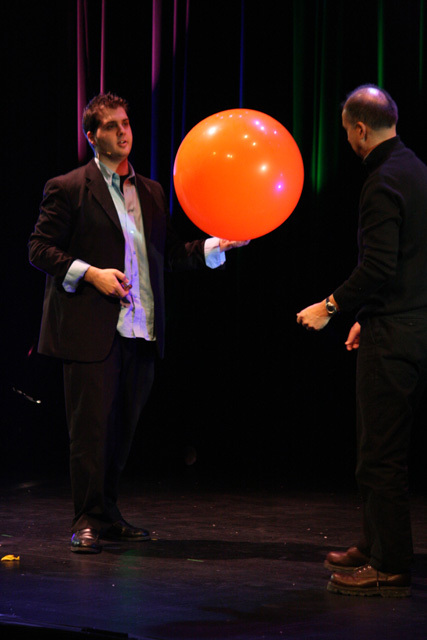 - All routines/illusions are highly visual and have a comedic, exciting and interactive theme. - An on-stage assistant is included in this show. Technical staff included (sound/lights). - The show resets in 30 minutes. If you don't believe in magic spend a day with Michael Bourada and he will definitely change your mind. He has been called "a new sensation in the world of magic" along with “one of Canada’s Elite Magicians” and he is coming your way with MAGIC UP-CLOSE, a stunning display of original close-up magic, WITHOUT THE CAMERA TRICKS. Close-up Magic requires lots of audience participation and excitement. It’s also considered one of the purest forms of magic as it happens up-front, right before of your eyes – NO STAGE REQUIRED. Consider having your guests truly captivated during cocktails, waiting for meals, for family venues, fairs/festivals, gala ceremonies, banquets, corporate seminars/retreats, trade shows, office events and so much more. Your guests will be absolutely astonished when they take part in Michael’s magic. He performs unique, bizarre and exciting magic, where the impossible comes to life. You’ll witness feats such as penetrating objects through people and himself, burning your thought or image into his arm, levitating through the air and more JAW DROPPING - never before seen magic, all right at your own event.